What you know about www.konterra.com??????????? Huh? What am I supposed to know? I'm confused by what you want me to say? Hey, all. I'm new to this site. Coincidentally, I discovered this site actually searching for articles on Wegmans Woodmore, lol! It's a wonderful, amazing store! Unlike any store I've ever been to. Almost like a Costco, Walmart, and some anonymous fancy eatery, rolled into one. 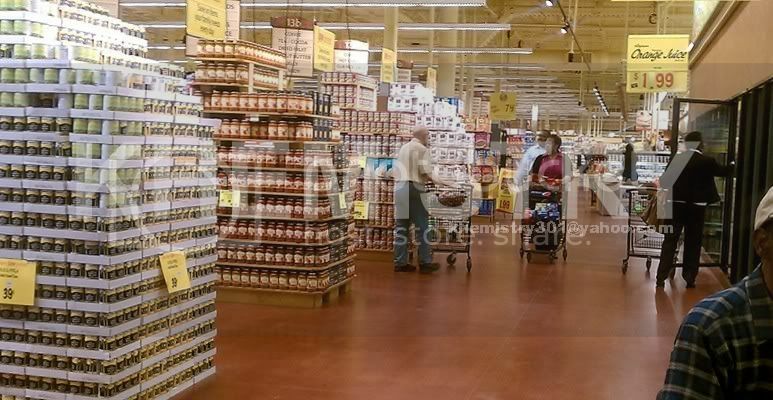 I am Black, and I hate to come across as "racist" myself... or even self-hating, but after so many years of being accustomed to "black customer service", it came as quite the shocker to actually be respected and treated very nicely, while I was at Wegmans. I had managers and employees greeting me at every turn. I had managers and employees, stopping dead in their tracks to let me pass, so they wouldn't be in MY way. The store was very clean... of course because it's new, but even still. It was just a very nice shopping experience. It reminded me of why I usually go out to Northern Virginia to do my shopping... so I can get away from that "ghetto" experience. The store is insanely large... about the size of a large Costco or Sam's Club. 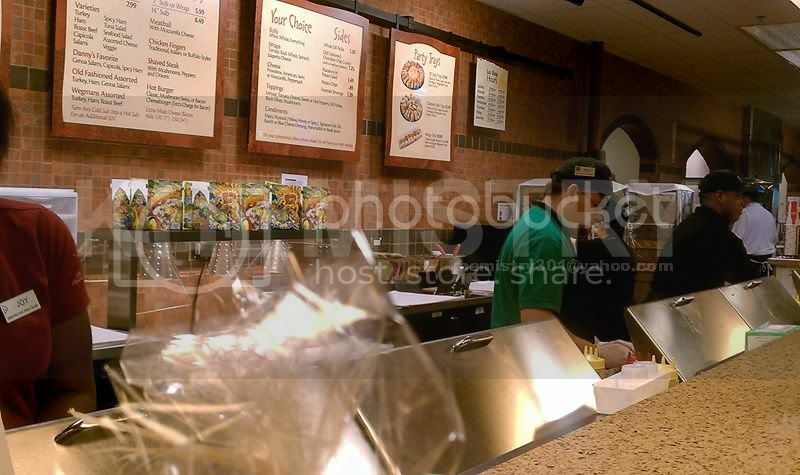 The store has about four different restaurants: A sub shoppe that is Wegmans version of Subway; a fresh pizza place that sells freshly made pizza of all varieties; there's the main sit-down bar called "The Food Bar"; there's a sushi bar (I believe); and there's numerous other non-sit down food areas that prepare fresh foods for you to purchase. As others have pointed out, the shopping center is actually much closer to Largo/Mitchellville/Springdale. That whole classifying the location as "Lanham/Glendarden", is going to cause a lot more problems than not. When I first heard Wegmans was in Lanham, I was like "I can't imagine where out yonder this will be". I know very little about Lanham. When I think "Lanham", I think of the area near Greenbelt. This place is literally right next to Mitchellville. Had the store been listed under a Mitchellville or Springdale address, I would have known almost immediately that it was off of 202. I got lost looking for the place. There is nothing ghetto or crime ridden about the place (yet). Almost all of the shoppers appeared to be middle to upper middle class. Saw rows and rows of expensive cars. Saw a lot of white people and white families, and of course a lot of black families. Most of the shoppers were middle aged or older. Anyway, I took a few pics of the place. I'll post em here just to get a quick glimpse. They aren't the best pics but they're good enough. "The Food Bar", which is a sit down restaurant, is in the background. The sandwich (sub) shoppe. This place is basically a Subway. Excellent. Excellent, my brother. I think my family is about to head up there in an hour or two. Thank you for the pictures by the way. I definitely understand how you feel about the "black customer service". That was one of the reasons why my wife and I started going to VA to do our grocery shopping, but this might be a destination if all goes well. I went Wednesday night, last night (Friday) and going again this evening! It was everything and more! I have to keep going back because they mailed me so many coupons and I can't use them all in one day. Last night the sit down area was packed and there was a jazz band playing. I saw so many of my friends and people I work with. We are all excited and very pleased that Wegmans is here. Oh and on a side note, the Woodmore Towne Center shopping center looked really really nice. That's really one of the nicest shopping center I've seen in this county. It's going to be nice to see how everything will turn out once they add the hotels and office spaces. Another great win for Prince George's county. This is the only Wegmans in the Maryland National Capital region, even Montgomery County hasn't gotten one yet. But maybe some would like it to leave like they do for National Harbor because it's "too upscale and doesn't cater to them, them, them". I lived in Rochester during grad school. They are just crazy for Wegmans up there. I've never seen such passion for a grocery store before it was kind of creepy. Are you sure those negative comments were based out of racism and not Maryland Hatred and Jealousy from people south/west of the Potomac River????????? Doesn't that go hand in hand? Wonder why "tolerant" transplants from the north always end up in Arlington or somewhere else in va, don't want to go over to the Black side and get shot right? Wegman's is great! I went in the store on opening day and been about 3 times since, including today. It gives residents what they want to see, an upscale shopping experience! The parking lot is always packed and ppl are busy shopping. 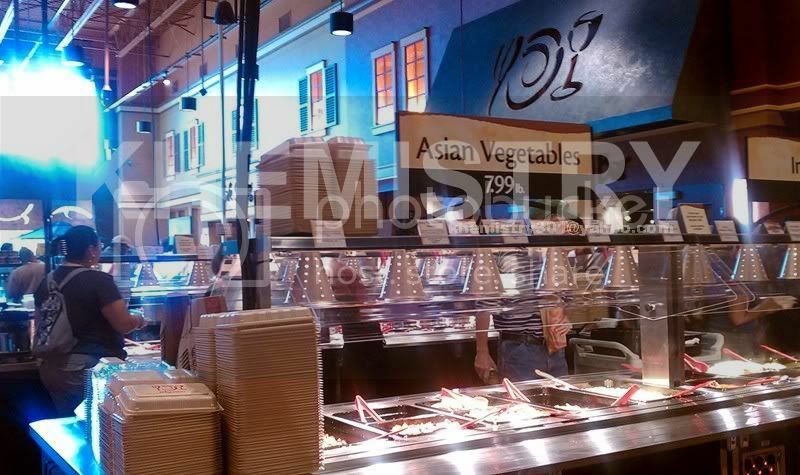 Most ppl are in the hot food-bar areas, and the other sections of the store are less crowded. All 28 check out lanes were open today. I think Wegman's and the Woodmore Town Centre is a great step in moving towards the successful growth of Prince George's County. 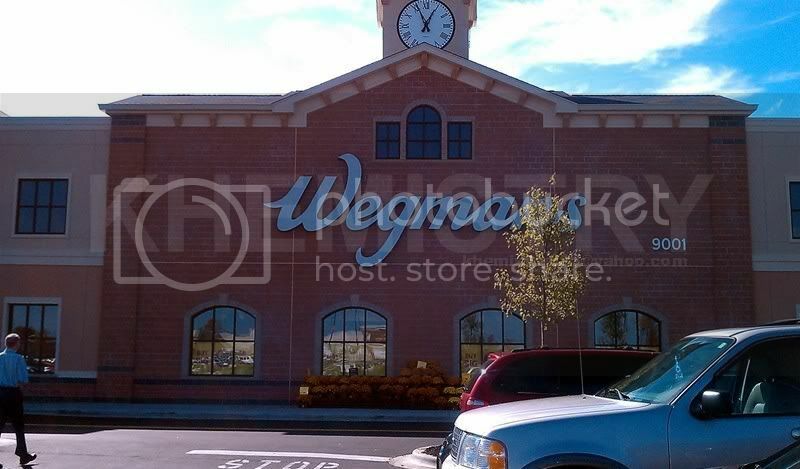 We as residents, must support not only the Wegman's but also the Woodmore Towne Centre. We must also inform others of the wonderful shopping experience and those who may not be aware. I've always been excited about the concept of Woodmore Towne Centre. It will serve as a catalyst for the future for the county. I'm definitely excited about the jobs (5,400) and the tax revenue it will bring to the county ($236 million, over next 30yrs). I feel that it has the right anchors Wegmans, Costco, Best Buy, and JCPenney to keep it a THRIVING shopping destination. The hotels and conference center, and office space and even residential development will definitely be a plus. Wegman's is going to clean up at this location. It wouldn't surprise me if it becomes the store's top grossing store. They are going to have to be very proactive about preventing shrinkage and protect the parking lots.